Save on Finishing Compounds at High IQ Business Network. Top brands include Grobet USA, TechDiamondTools, Gordon Glass Co., Grobet, Techdiamondtools, RhodesAmerican, & NOBILIUM. Hurry! Limited time offers. Offers valid only while supplies last. Polishing Compound Rouge Peel Back Red Ps 309 7 Oz. 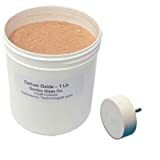 Polishing Compound Rouge White Polishing Compound Rouge 4 Oz. Polishing Compound Rouge Yellow 5 Oz. Polishing Compound Rouge Deep Red 8 Oz. 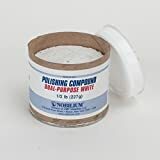 Polishing Compound Rouge Peel Back Water Soluble Red 7 Oz. Polishing Compound Rouge Peel Back Wonder Bar Small Ps350 5 Oz.